In a World of Lex Luthor’s, is Superman Still Relevant? It is THE definitive superhero movie that every other movie since then has tried to replicate the magic. 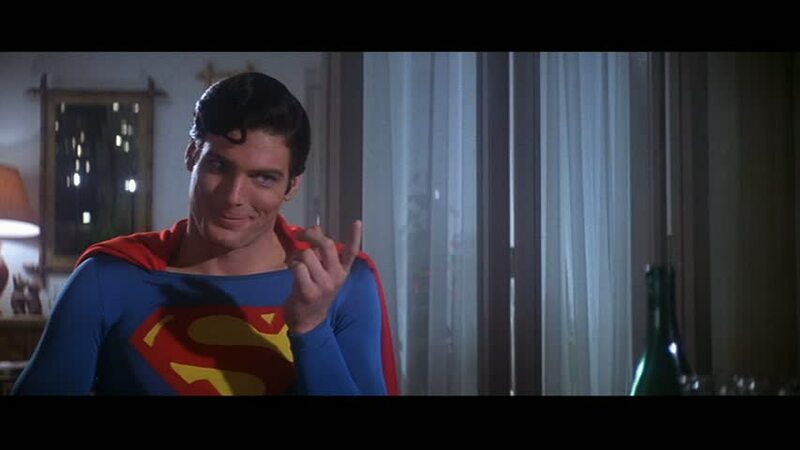 So when Superman the Movie hit theaters this month to celebrate 40 years through Fathom Events, I just knew I had to see it as an adult on the big screen. As several Superman movies have launched into theaters since Christopher Reeves passed the mantle, none have been very popular. 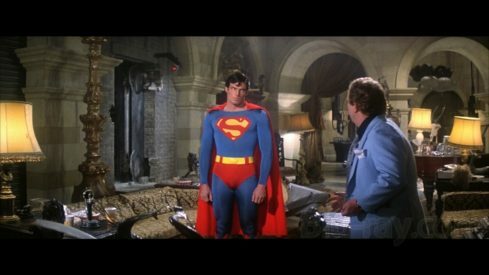 So what makes the original Superman movies far superior to the newer ones? Why can’t Superman charm an audience like he used to? With fans still cringing from the sullen take on the character in Batman v Superman, is there hope for our hero in the future? 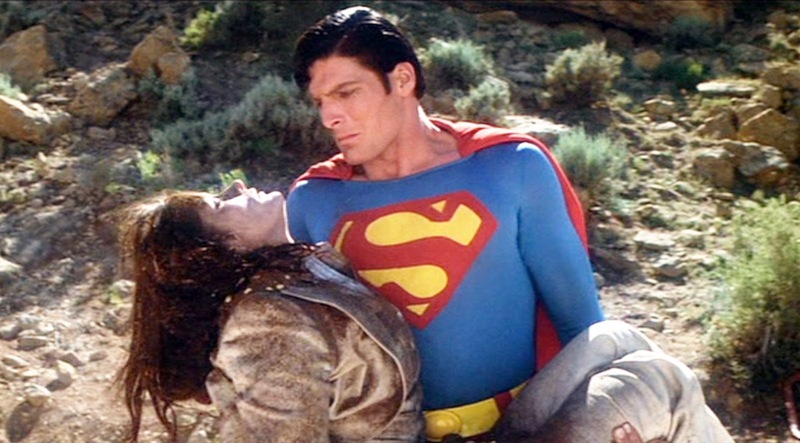 Well let’s start with the basics of why Superman the Movie was so great. First, Mario Puzo wrote the screenplay. You may recognize his name as the guy responsible for writing The Godfather and bringing that to life on the big screen. He was a man known for gritty storytelling; a man known for tales of the mafia and definitely not someone who would simply write a feel good superhero movie. He brought real life drama and emotion. He wrote characters with layers of depth and an accurate perspective on the darkness that lives in humanities thoughts and minds. Just enough to make them all feel real. Some things could be better…. There were cringe moments, sure, where certain scenes didn’t hold up so to speak, as technology moves forward. That’s to be expected. I haven’t seen the movie since I was a kid. I mean, the physics of Superman’s flight didn’t bother me so much as when he flies around with Lois, a scene that removes realism from it entirely. Although it felt sweet and genuine emotionally, it was hard to watch without thinking “that’s not how physics works,” and it really took me out of the scene. But the scenes that didn’t hold up were few; and for a movie that is 40 years old, that’s quite impressive. 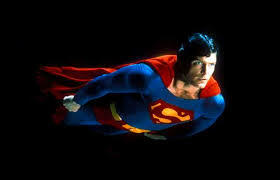 Everyone says that no one has captured an audience as Superman like Christopher Reeves did. That he brought some kind of magic which no one in the forthcoming decades could replicate. But is it Reeves that makes Superman so likable in this movie? Or was it the social climate in which the movie launched that captured everyone’s hearts? So watching this movie I was hyper vigilant, letting my mind explore it from a casting/acting/societal point of view. Is he really better than the others, does this opinion hold up, and if so, what is it about him that makes him so perfectly acclimated to the role? Is Superman’s decline in popularity because they can’t find an actor like Reeves to bring the character to life? Or is it something more sinister? Is it Superman? Or is it Clark Kent? Superman is clearly who the character identifies as. Clark Kent is the disguise. In fact, even in his representation of Superman moments, it’s clear how PRIDEFUL he is about being Superman. It’s as if he can’t wait to show this side, his “real self” to the people in his life, even though it’s just a disguise. He brings a sense of ‘showing off’ not quite arrogance, but something where he is pleased to be able to show how awesome he is. The phrase ‘truth, justice and the American way’ was something I had forgotten about. Something that is truly very Superman. But the phrase itself has lost favor with readers, and was removed at the dawning of the new 52. But I want to explore this, because in my mind, this is the core of who Superman is, and why he resonated with readers- a connection that he’s lost. It’s not that superman himself has changed, but rather the social and political climate of the country. The US no longer values ‘truth justice and the American way’ in the way that it used to. I, in fact , haven’t ever heard someone speak about the US with a sense of pride like that since I was a child. This is perhaps why Batman has been the favored DC hero for the last 2 decades. Batman is the capitalist hero, whose focus in on money and loud aggressive power and FEAR. Putting fear in the heart of his enemies. Of someone rich who rages against the injustice in society at night, throwing fists because his money and power don’t really change much and don’t give him power during the day to handle what needs to be done. Despite his fame and fortune, he can’t change the secret underlying darkness that dwells in the city- a darkness that eats away at the heart of man. The unfairness. The mental illness. The desperation. In these he finds his power. His money allows him to use his fists for justice. It is the means to his end goal of working out his own frustrations from his own loss of his parents, something even with their money he had no control over. This thread to the social climate of the 80’s, 90’s and early 2000’s in which Batman rose again in public popularity, as the outside world reflected the feeling of Gotham City. Of the average man realizing that money might not bring you happiness, but it does have the power to turn a normal man into a superhero- someone who can stand toe to toe with other heroes with actual “magical’ powers like Superman, Aquaman and Wonder Woman. It’s a glorification of money, using it in quiet back alleys to create societal control. So can Superman be molded into something socially relevant again? Or is his core so intrinsically old school and grounded in archaic values that there is no place in people’s hearts again? There have been several attempts by modern cinema to capture something new for the character- to tap into the cultural climate of a new era, but to no avail. But the issue is that they seem to focus on this very “Batman” type of persona. Someone sad, moody, discouraged, and can’t seem to decide which one of his persona’s is the genuine one, and which one is the disguise. In the age of social media, that seems to be a theme that we can identify with. Yet, that’s Bruce Wayne’s thing. He’s alone and never succeeds in having close personal relationships. There is no one in his life that exists in both personas except Alfred, who is essentially, staff. So of course the man would struggle with which one is real, which reality is genuine! He literally lives two lives that don’t interact with each other. Think of who is love interest is, and which world she exists in and that will tell you which life his heart and soul is tied to. For Bruce, it’s Catwoman. Batman is who he wants to exist as, but real life and commitments to his company drag him from that reality and force him to put on the Bruce Wayne mantle. Superman on the other hand, loves a woman who interacts with both his worlds. He has a hard time charming her as Clark Kent, but he doesn’t have to try when he’s Superman. The life of a reporter puts Lois and Superman on the same case most of the time, with her investigation skills combining with his super-hero skills, they make a great team. Superman isn’t split between two personas. Why would he be? His parents accept him as their son, an alien, and a superhero. So does his girlfriend. Superman is understood. So why have his more recent depictions all focus on him feeling misunderstood? Why is he portrayed as being caught between two worlds? 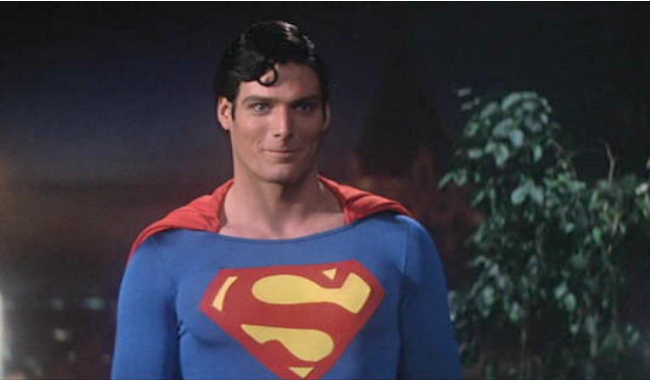 In the original movie, Christopher Reeves play him in a way where he looks happy to be Superman. Much like the US, and our social perception of it as something more powerful than others, and our need to want to share that greatness with the rest of the world. Not aggressively, not arrogantly, but quietly protecting those who are smaller and inspiring them to be more like us. More like Superman. In the beginning of the movie, Clark learns to deal with bullies by using physical restraint and mental aggression. He doesn’t yell, he doesn’t punch them in the face. He beats them by outsmarting them and making them look dumb. Lana looks at him from the backseat of the car as if reevaluating him. Quiet power. Self-Control. Out-maneuvering the bad guys. But this is not how we think of, or value, or react to mainstream American culture anymore. He is no longer a resonating representation of what the American strives to be. Smarter. Quiet power. Honorable. This became much clearer when I thought about Superman’s humble origins. His story has aligned itself with the American dream and former American values. Family. Honor. Optimism. The character was created by immigrants, and his perception is colored by their experiences (and pride) of coming to this country and receiving a fair shot and a better quality of life, that placed it’s values in hard work, respecting your neighbor (and looking out for them) and equality. But seeing Superman’s origins made me realize something about the character himself: Superman is an immigrant. An alien refugee from another planet, whose end goal is to fit in. To be “normal,” to conceal his power for the greater good. The most powerful man should conceal his power, and only use it for good. In fact, even his arch nemesis is a Capitalist. Lex is a man whose goals are solely to create more money for himself, to selfishly build his own empire regardless of who it hurts or what it destroys. I’m sad to say that in present times, Lex Luthor would be more socially recognized as a hero and admired than Superman, because of the shift in social values over time; he would feel right at home with folks like Mark Zuckerburg and Jeff Bezos. In present times, refugees and immigrants are painted as criminals by the media, and dangerous. But Superman defines the immigrant experience. Someone who knows they don’t belong, and who tries to. He works two jobs (one as a reporter for the Daily Planet, and one as a super-hero.) he upholds the countries moral code, he is always courteous and polite. The interesting dichotomy of the character is that superman is an optimist. He looks for the good in the world, for the good in people. Yet, he chooses a career as a reporter- someone whose job is to dig deep into the darkness of humanity and expose the crimes that lurk in all us. Someone who seeks out and assumes the negative- but it never affects him negatively. That’s his real super-power, positivity. He’s even fueled and powered by the sun, which has long been a symbol of life, power, light, and goodness. Although Superman has lost the public interest, events like the 40th anniversary screening of The Superman movie brought me back to my superhero roots. The world may not feel attune to Superman anymore, but it would be a better place if we all strive to be a bit more like him.